With many uses from storing matches and anything else small that needs keeping dry for camping, matches, tinder etc. 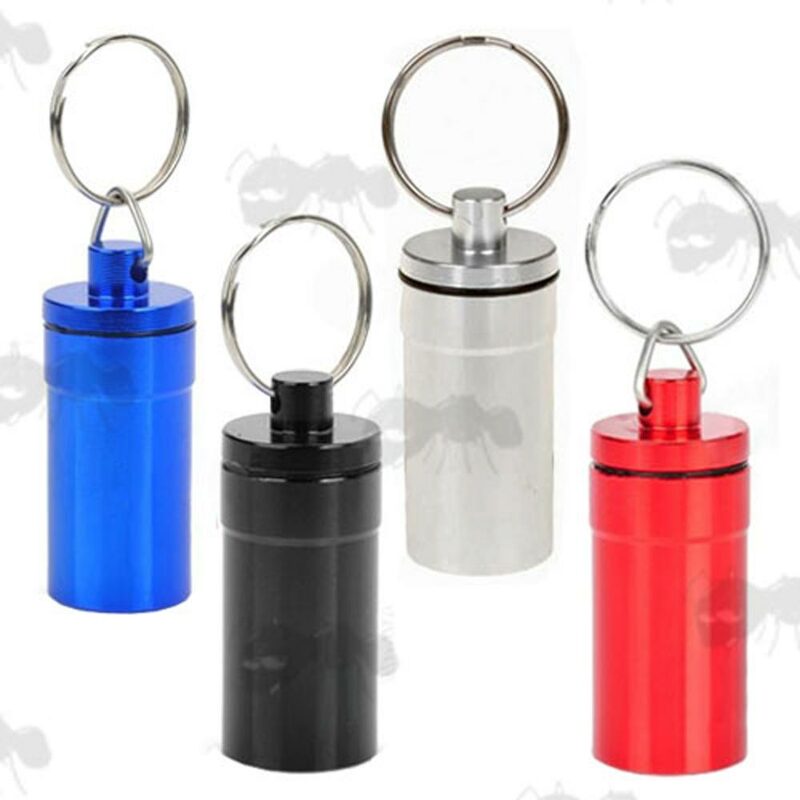 Also popular as micro / nano geocache capsules. 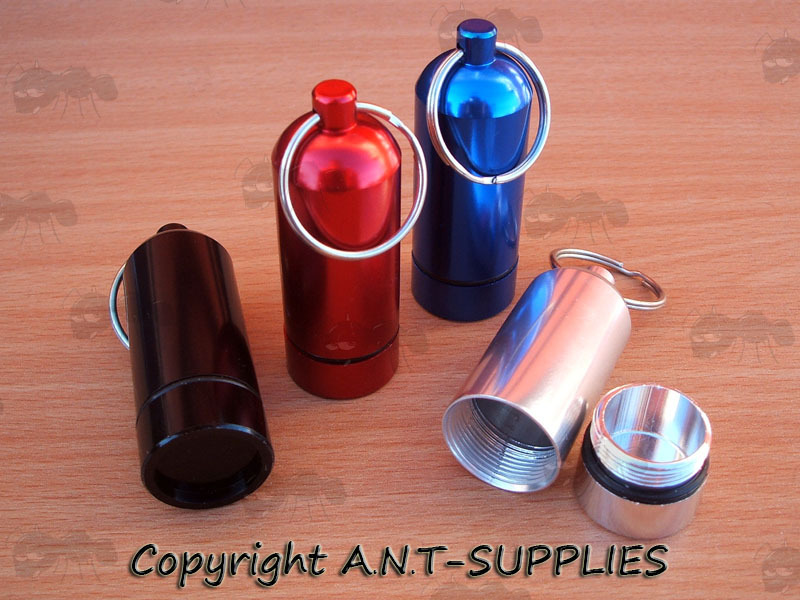 We also offer them as a micro capsule and large capsule version. 56mm long x 21mm diameter. 42mm long x 16mm diameter. With one blue, black, silver and red. 50mm long x 20mm diameter. 39mm long x 19mm diameter. 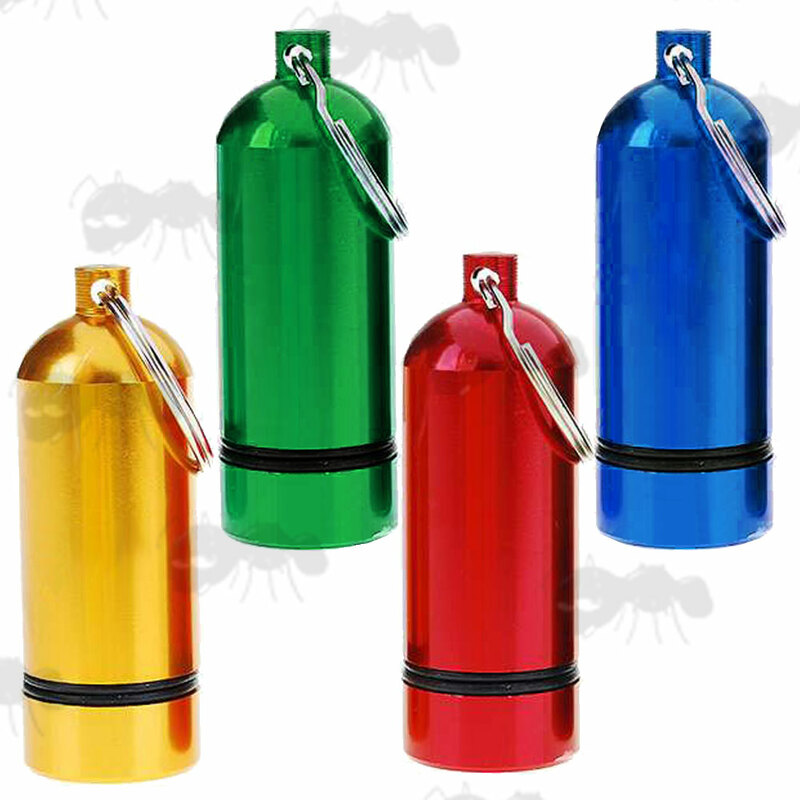 Each with a key-chain fitting for easy carry.